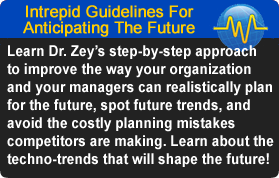 Future Social, Business, and Technology Trends Speaker Michael G. Zey, Ph.D.
the Economy and Organizational Effectiveness. 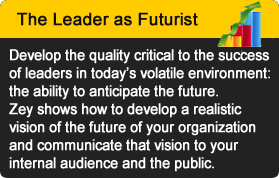 Welcome to Zey.com, the website of futurist/sociologist Michael G. Zey, Ph.D., one of the leading speakers on emerging social, business, and technology trends. 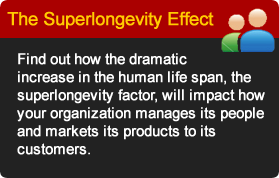 Dr. Zey speaks at corporate, trade, and professional events for organizations such as IBM, SPRINT, MENSA, AT&T, the World Future Society, and the Social Media Summit on topics such as the impact of Superlongevity, social networking, Baby Boomer issues, and organizational planning. Media credits include The LA Times, Christian Science Monitor, the Wall Street Journal, Forbes, FoxNews, CNBC, CNN, WABC’s “Batchelor Show,” NPR, and LA’s CBS-affiliate KNX-AM. Dr. Zey’s books include Ageless Nation, The Future Factor, and The Mentor Connection. To book Dr. Zey for your next event or media event, or interview him for a publication or program, please click here to contact him at or call 973-879-4776.